Show Director Tools subscription continually brings new add on features to the power of Show Director and Visual Show Director to all pyrotechnic designers no matter what firing software or hardware they use. We have added the ability to save a named Custom View that includes the Visible Script Columns and their order plus whatever filters or sorts you may have in place. These Custom Views can be used in any project without having to load the original Script Filter or Sort files. In addition to loading a Custom View, you have the ability to Print or Save the Script using that View. Saving uses the Microsoft Excel format (.xls) and only saves the visible columns in order with the filter and sort. This differs from normal Script Save as Excel which saves ALL columns and data. 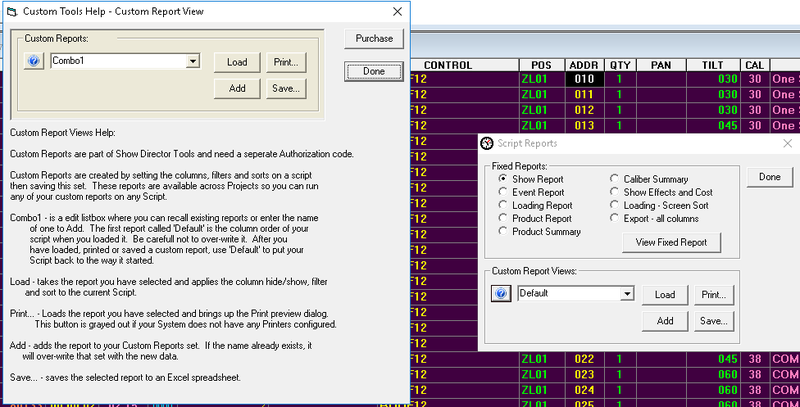 Use this feature to create Custom Reports that can be applied to any Project. A few commonly requested Custom Report Views have been included to get you started. Generate SMPTE and FSK timecode. 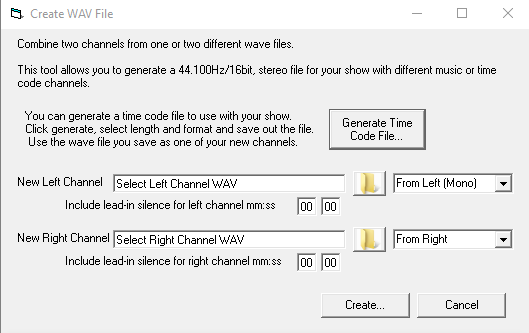 It will take any .WAV file and generate the matching SMPTE /me code file. The previous version of Show Director Tools included Timecode Conversion that is now part of standard Show Director 8 in Configure Panel. You can also build a FSK audio file (.wav) to download to Pyrodigital Field Controlelrs FC-3. Generate time code and mix your audio channels for seamless combination of Timecode and music. Design in one single script for any system connected to Pyroleda SQ3 Modules Sequencer flawlessly. Control the firing of the SQ3 directly with Show Director with FSK timecode wave file. Tell us what you want and we will consider adding it on !